The theme of migration appeared prominently in the second half of Giuseppe Conte’s 38-minute long address, but only after he had carefully built up his and his government’s credentials as being "for the people [of Europe]." Although he did not define an 'other,' the frequent reiteration of the idea of ‘a people’ could be seen to imply that there are people who do not belong to this group. 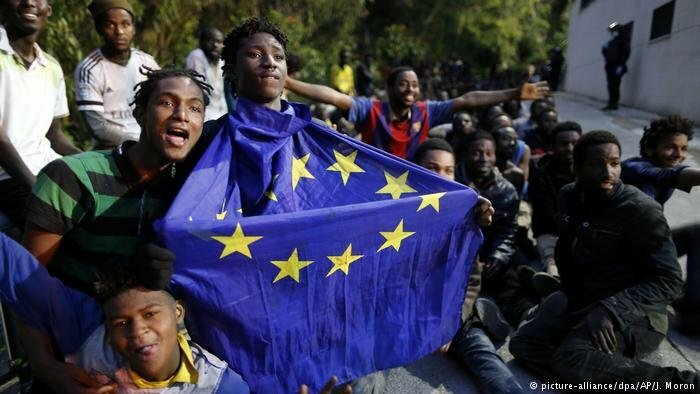 It was unclear whether he was talking about all people on the continent of Europe or all those who have the 'right' to reside in Europe through European citizenship. The people of Europe, Conte explained, have been formed over centuries, their identity based on a sense of belonging, of languages and traditions. He praised free movement as "one of the most significant achievements of European integration." Human rights need to be protected and defended, he added. As the speech progressed, Conte highlighted the need for managed and controlled migration, including the management of borders. Today, Europe is at a significant crossroads and Brussels has lost contact with its periphery and its people and politics "has failed to do its job," the Italian Prime Minister said. Conte called for Europe to have a stronger and more united voice, for instance to work towards a European seat on the UN Security Council. He called for an integration of the European defense system in order to deal with what he calls two "emblematic challenges," namely "migration and financial governance." In the second part of the speech, Conte called for EU partners to quit following what he called a "nationalistic logic" and instead and take in some of the tens of thousands of economic migrants in Europe. 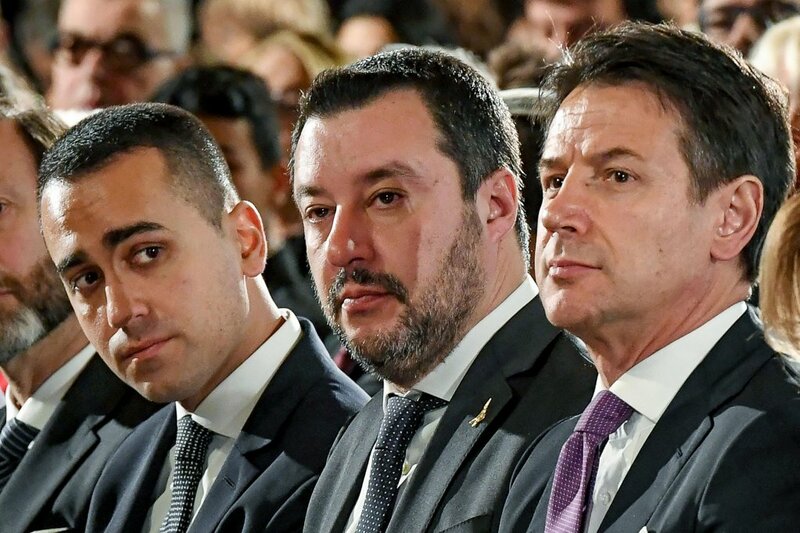 "Let's put into practice an authentic solidarity," said Conte, whose populist government includes a coalition partner that advocates "Italians first" policies in foreign affairs. "It is thanks to Italy that migration has been put front and center of the European agenda," said Conte. He warned "Europe cannot go on coping with migration on an emergency footing," because if it does so "we will compromise the very fabric of a united Europe." Conte underlined his and Italy’s strategy for meeting the challenge, namely more cooperation and development work in Africa. He himself listed the countries he’s visited and will be visiting, from the Horn of Africa, Ivory Coast, Chad, Niger, Libya, Tunisia and Morocco. He called for other European countries to get on board with this strategy of "developing a new model of cooperation with Africa." Avoiding direct criticism, Conte ticked Europe off saying that there were apparently half a billion euros missing from two funds that addressed migration, the Trust fund for Africa and the Turkey agreement. He noted that the proposals to reform the Dublin agreement which had been "adopted in November 2017" hadn’t really moved forward and that the "bulk of the member states were not showing solidarity" for the initiative. His speech was followed by an animated debate where he faced some criticism from a coalition of Liberals, Socialists and Populists led by the leader of the Liberals Guy Verhofstadt. Verhofstadt reportedly responded to the speech with a rhetorical question: “I’m wondering how much of a puppet you might be, directed by Salvini and Di Maio?" Conte’s response was decisive. "I am not and do not see myself as a puppet!” he said, noting that, not just him, but the whole of the Italian people should feel insulted by this attack. Verhofstadt, in Italian, added that he loved Italy and it was this love which made it “painful” for him to watch what he called Italy’s “political disintegration” over the years. Conte underlined his pride and honor in chairing Italy and its government. Much of the debate after Conte’s speech descended into squabbling with many of the divisions, between Italy and France, between Italy and the EU, being brought up again and again in call and response. Conte concluded by asking the EU to “follow words with deeds, [show] more solidarity, more fairness, more inclusion and more democracy.” But the unity he had called for continually in different ways throughout was hard to discern as angry words flew across the parliament chamber.